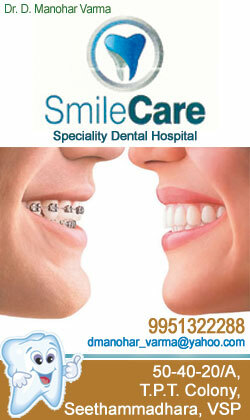 DENTAL CLINICS Visakhapatnam: list of all DENTAL CLINICS in Visakhapatnam or vizag. 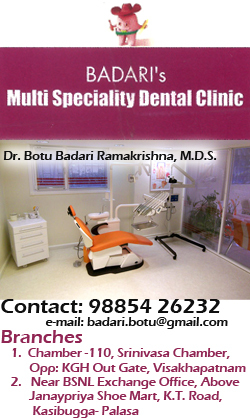 To add more listings for DENTAL CLINICS in visakhapatnam, please contact us. H.O. : D.No. 28-2-24, First Floor, Near Daspalla Hotel, VSP""
vizagads.in All © Rights reserved.